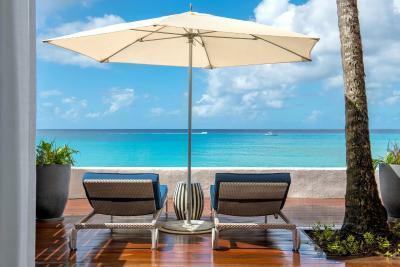 Lock in a great price for Fairmont Royal Pavilion Barbados Resort – rated 8.9 by recent guests! Location and beach. Room renovation. Deck off room overlooking ocean. Property maturity and grace. The staff is not intrusive. Breakfast buffet was plentiful and the fruit and made to order eggs excellent. The concierge staff nice, but we had made our dinner reservations ahead of arrival. Had we not, there would have been trouble finding reservations. Many luxury resorts email guests prior to arrival with restaurant and attractions info offering to make arrangements in advance. The beach is absolutely gorgeous! The rooms have great views and are very nicely decorated and spacious. 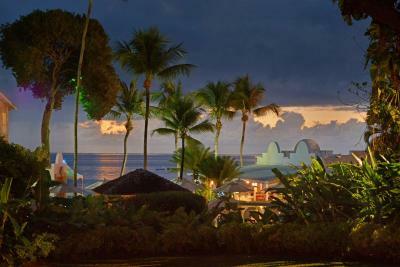 The link hotel looks beautiful against its turquoise beach background and surrounded by tropical flowers. Most people that work there are friendly (not all). Swimming with turtles and complimentary afternoon tea! The rooms were EXTREMELY clean which is my top priority when choosing a hotel. They were very modern and upscale especially the bathroom with the push bottom rain shower and the bedroom with the cedar closets and the remote controlled air conditioning unit. Perfect location and beach area. The rooms are nicely renovated and comfortable with lovely Le Labo toiletries. People are very friendly. Everything is perfect! Lovely & Classy Staff. The junior suite was unbelievable. It like having your own beach house with ability to walkout to the sand. A great resort! Myself, my wife and our 1 year old daughter, spent 5 nights in this lovely hotel. everything was just perfect; we'll definitely come back! 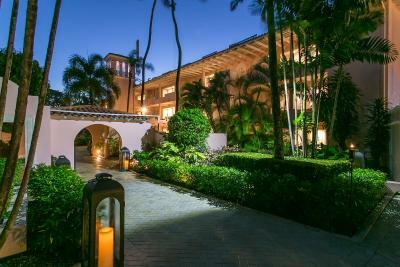 Wonderful newly renovated hotel right on the water. Hotel staff is exceptionally friendly and very high service levels! Lots of water sports and even water taxi to dinners or catamaran snorkeling trips to swim with turtles, they pick you up right st the hotel. Great morning Breakfast too. 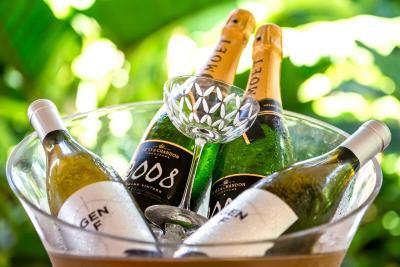 A must for visitors to Barbados! 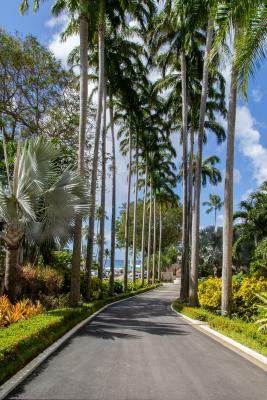 The hotel beach and beach access is unparalleled (and I speak from experience, as I also stayed at The Coral Reef Club, and a minor stint at The Crane Resort - do not go there!). Pretty much every room has a view to the water; it's fabulous! 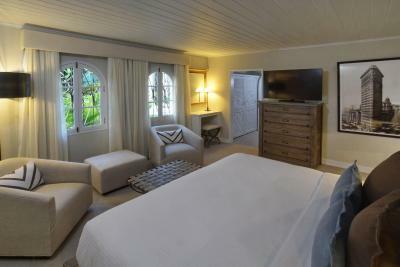 The rooms have also recently been renovated, so they are beautiful and clean. Afternoon tea was a welcome bonus. It had a nice beach and our villa was very comfortable. 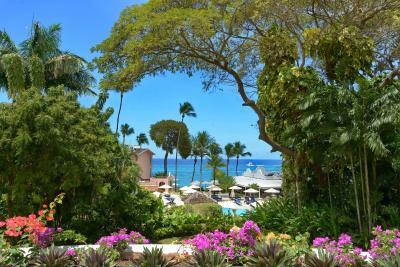 Fairmont Royal Pavilion Barbados Resort This rating is a reflection of how the property compares to the industry standard when it comes to price, facilities and services available. It's based on a self-evaluation by the property. Use this rating to help choose your stay! 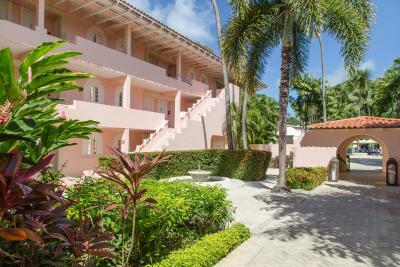 One of our top picks in Saint James.Set on the Glitter Bay Beach and 1.2 mi from Holetown City in St James, this complex features an extensive garden, in-room massage services, a swimming pool and free WiFi in all areas. The plantation-décor rooms and suites offer air conditioning, ceiling fan, seating area and a flat-screen satellite TV with DVD player. 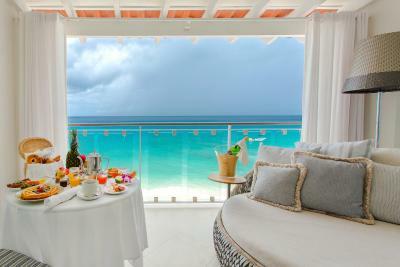 All accommodations include a balcony or terrace with sea views, and a private bathroom with bath and separated shower. 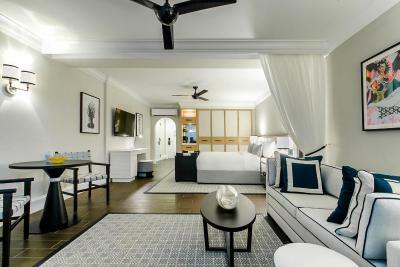 The lobby and all the guest rooms and suites have been newly renovated on November 2017. 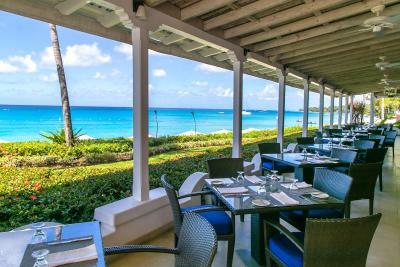 The Fairmont Royal Pavilion Barbados Resort features 2 restaurants serving international and Caribbean cuisine. Private dinner and in-room dining facilities are available. Guests can also arrange activities as canoeing, diving, fishing and snorkeling. Among these amenities, there are available a gym, tennis courts, laptop loan, laundry and a gift shop. Certified baby sitting service with an extra charge can be arranged upon request of at least 24 hours prior guests need it. 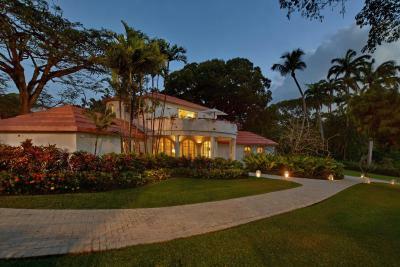 This complex is 5 minutes’ drive from the Royal Westmoreland Golf Course and 15 minutes’ drive from the Flower Forest. The Grantley Adams International Airport is 12 mi away. 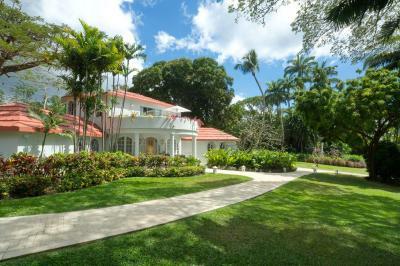 This property also has one of the top-rated locations in Saint James! Guests are happier about it compared to other properties in the area. 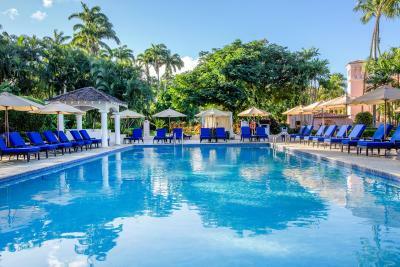 When would you like to stay at Fairmont Royal Pavilion Barbados Resort? 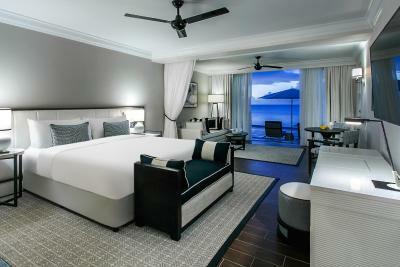 Located directly above the beach, the stunning Luxury Oceanfront Room offers spectacular ocean views from the 2nd floor. Watch the sunrise from the pillowtop king bed and take in the picturesque vista from the spacious glass-fronted balcony thoughtfully furnished with outside ceiling fan, sun loungers, and table with chairs perfect for a romantic candlelit dinner. The room category is also inclusive of Daily Breakfast for two and Platinum Fast Track Service. 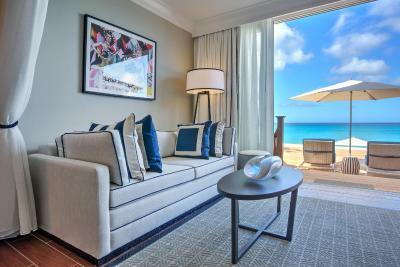 Located directly above the beach, the stunning Luxury Oceanfront Room offers spectacular ocean views from the 2nd floor. Watch the sunrise from the pillow top twin beds and take in the picturesque vista from the spacious glass-fronted balcony thoughtfully furnished with outside ceiling fan, sun loungers, and table with chairs perfect for a romantic candlelit dinner. 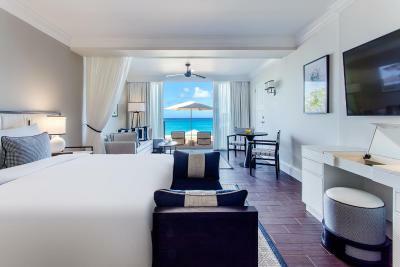 Among the most spacious beautiful rooms in Barbados, these light, beach-inspired havens are ideal for couples or families who seek the serenity of a holiday in the Caribbean directly on the beach. 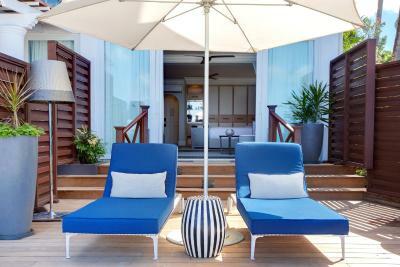 With views over the ocean and the sandy beach, every newly-transformed room features generous, private outdoor space. Most of the Luxury Oceanfront Rooms are interconnecting, providing the ideal environment for friends or families traveling together. Providing the ultimate in personalized care, this room is inclusive of our complimentary airport Platinum Fast Track Service which will accelerate your time spent in customs, breakfast daily for two in our alfresco beachfront restaurant and return airport transfers. 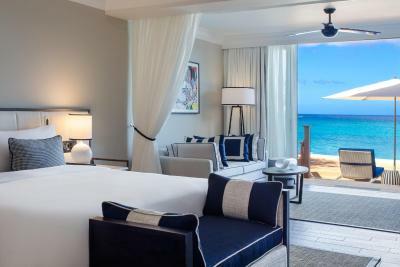 Located above the beach, on the 3rd floor of the resort, the stunning newly refurbished Signature King Room Ocean Front offers spectacular unobstructed views of the ocean and the sky. Enjoy the vista just outside the bedroom from the spacious glass-fronted balcony thoughtfully furnished with outside ceiling fan, sun loungers, and table with chairs perfect for a romantic candlelit dinner. 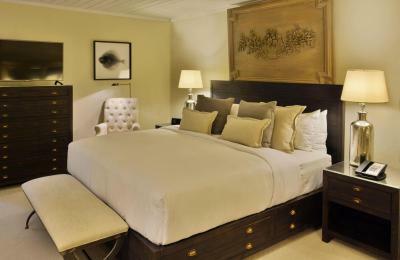 On-property, guests enjoy butler service, complimentary evening canapés, bespoke amenities and 1 King size bed. 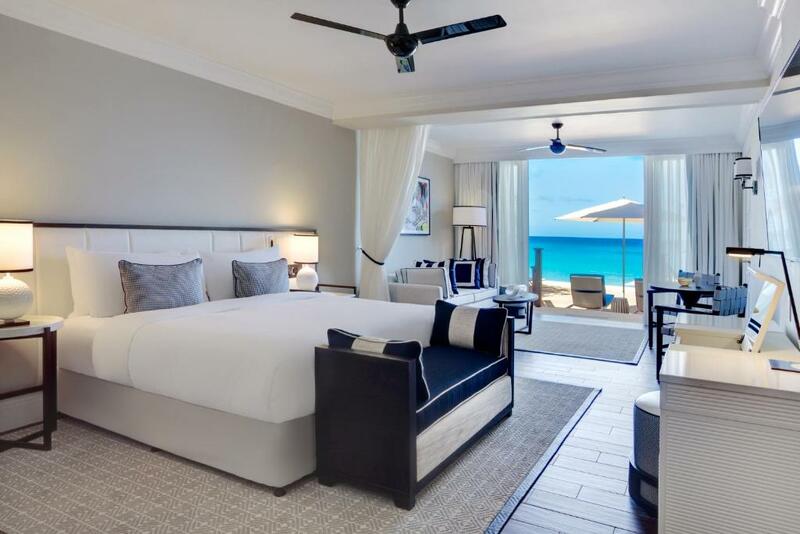 Providing the ultimate in personalized care, guests who book this Signature Twin Room Ocean Front experience VIP service from the minute they arrive in Barbados. The room is inclusive of our complimentary airport Platinum Fast Track Service which will accelerate your time spent in customs, breakfast daily for two in our alfresco beachfront restaurant and return airport transfers. guests also enjoy butler service, as well as complimentary evening canapés. 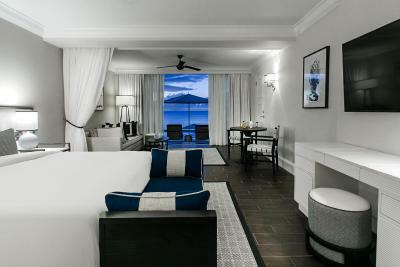 Located above the beach, on the 3rd floor of the resort, the stunning newly refurbished Signature Twin Room Ocean Front offers spectacular unobstructed views of the ocean and the sky. Enjoy the vista just outside the bedroom from the spacious glass-fronted balcony thoughtfully furnished with outside ceiling fan, sun loungers, and table with chairs perfect for a romantic candlelit dinner. 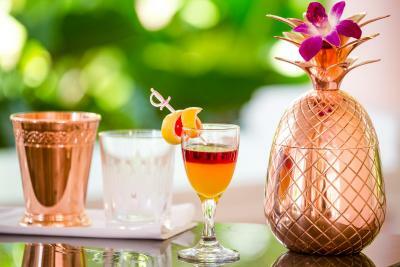 On-property, guests enjoy butler service, complimentary evening canapés, bespoke amenities and 2 twin size beds. For the discerning guest looking for the ultimate in beachfront living, the relaxed, newly renovated, Beachfront Suites are open plan and ideal. 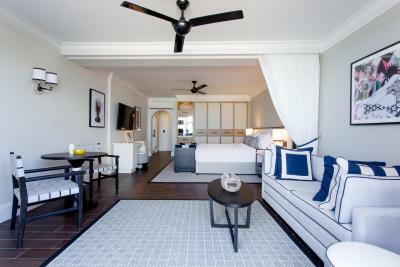 The Beachfront Suites feature a private 250 sq. ft. furnished deck and outdoor living space directly overlooking the beach, perfect for entertaining or for a romantic candlelit dinner with the soundtrack of crashing waves. 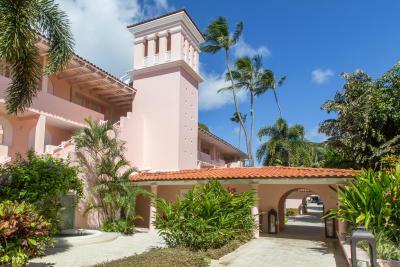 These suites have direct access to the resort's stunning half-mile beach. There is also a comfortable indoor seating area with a pullout sofa bed ideal for one adult or two small children. 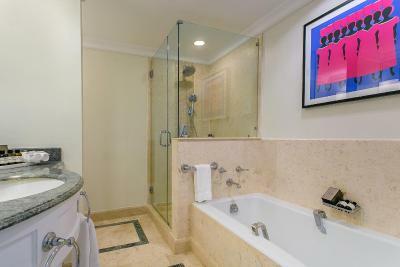 Beachfront suite is inclusive of daily breakfast, butler service, and luxury airport transfers. 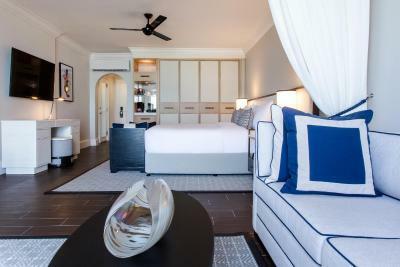 The Beachfront Suites are tastefully decorated in a warm tropical style and include a pillowtop king-size bed, a refreshment center, an ample bathroom with shower and separate tub, and luxury personalized Le Labo toiletries. Guests who book the Beachfront Suites enjoy world class service from the second their airplane touches the tarmac in Barbados. Our Platinum Fast Track Service provides you with your own personal Airport Concierge who not only assists you with Customs but escorts you to your luxury airport transportation that we have pre-arranged for you. Your luxury experience only begins there, as each Beachfront suite is inclusive of daily breakfast, butler service, luxury airport transfers, bespoke amenities, complimentary canapés and 1 King size bed. 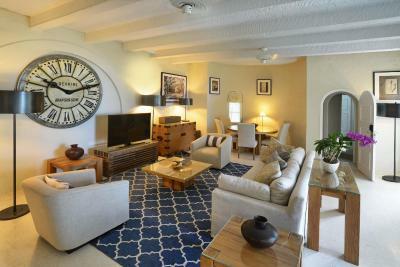 This room is located less than 328 feet from the beach and with a 225 sq. 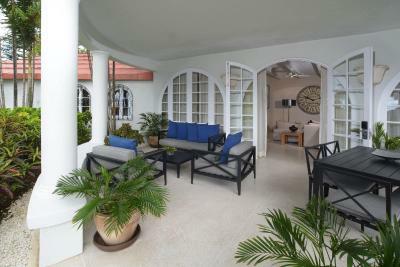 ft. furnished private balcony, you can soak in the spectacular sea views and beautiful Barbados sun. 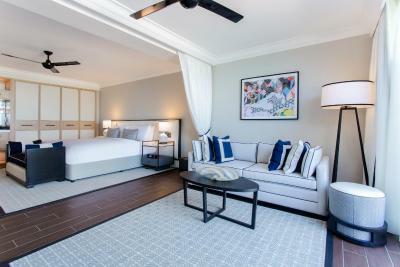 Recently refurbished, this magnificent room features elegant nautical-chic décor. 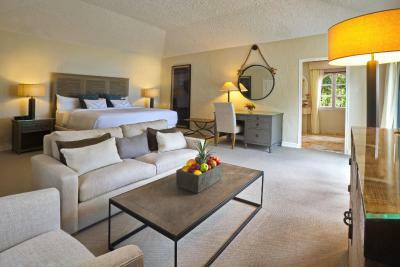 Junior King Suite is inclusive of daily breakfast, butler service, and luxury airport transfers. The Junior Suite occupies the full upper level of the Villa and has a private entrance, allowing you to relax in the airy bedroom on the king-size pillowtop bed or in the thoughtfully appointed sitting area. The room also includes a spacious bathroom, roomy closets, and dressing area. 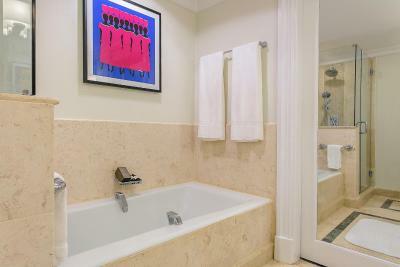 This Two-Bedroom Suite includes two bedrooms, each with a pillowtop king-size bed and private bathroom. 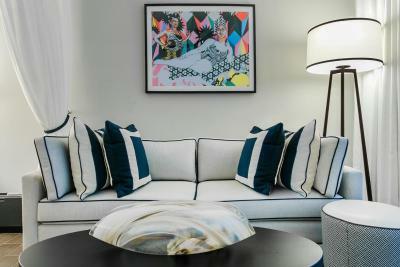 The shared spacious living room features seating and dining areas ideal for entertaining. 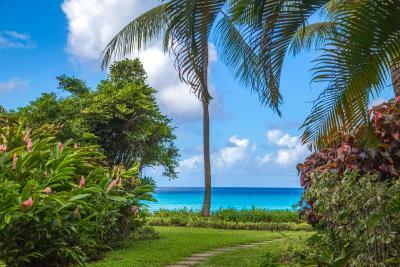 With a relaxed and comfortable lower terrace, and located less than 328 feet from our pristine beach, guests can soak in the spectacular sea and garden views and beautiful Barbados sun. This room is inclusive of daily breakfast, butler service, and luxury airport transfers. 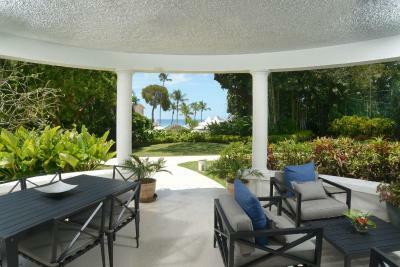 This villa includes three bedrooms, each with a pillowtop king-size bed and private bathroom. The spacious living room features seating and dining areas ideal for entertaining. 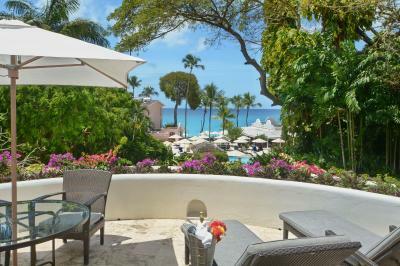 With a relaxed and comfortable furnished terrace on the garden level, as well as a spacious furnished balcony on the second floor, you can soak in the spectacular sea views and beautiful Barbados sun. This villa is inclusive of daily breakfast, butler service, and luxury airport transfers. 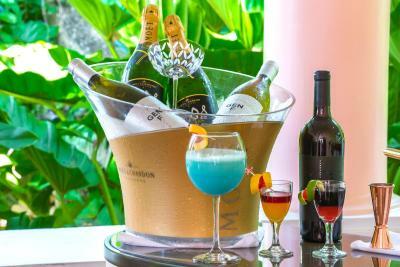 House Rules Fairmont Royal Pavilion Barbados Resort takes special requests – add in the next step! One child under 12 years is charged USD 100 per night when using existing beds. 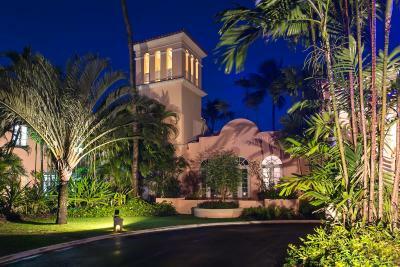 Fairmont Royal Pavilion Barbados Resort accepts these cards and reserves the right to temporarily hold an amount prior to arrival. 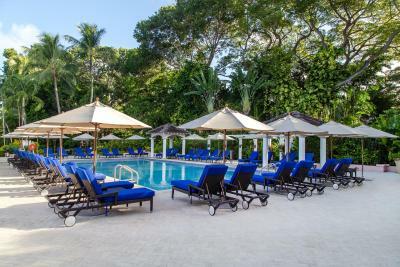 Other services such as Manager’s weekly cocktail reception, non-motorized water sports (kayaking, paddle boarding, hobie-cat sailing, snorkeling, swimming with the turtles, outdoor tennis courts are available. Reservations are necessary for DVD rental (Excludes in-room movie rentals). Children are welcome all year round and stay free of charge when sharing a room with their parents (Aged 12 years and under). Children 12 and under eat free when dining off the kids menu, and receive 50% discount when eating off the main menu. Daily kids activities and entertainment include kayaking, beach cricket, soccer, bajan sporting games, treasure hunts and movies. The breakfast room is very tired and needs a complete renovation. For the astronomic rates, including the ground floor room location surcharge, expectations of more amenities was disappointing, such as the absence of a stocked minibar in the room or complimentary drinks in rooms and beach. 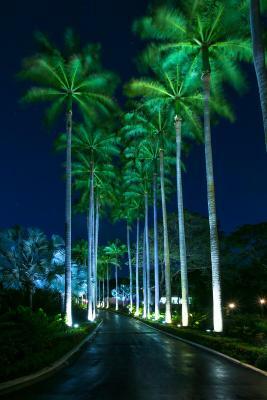 Many Caribbean resorts with similarly beautiful locations offer equal privacy with better attention to detail. The room mini fridge was empty throughout our stay and a note in the room apologized for it. However, after checking out, I noticed an additional room charge on my credit card. When I emailed the hotel I was told the charge was for mini-bar consumption! Clearly a human error, but one that is unacceptable for a resort of this kind. With a few notable exceptions, the staff was flat-affected and tired looking and the breakfast buffet understaffed. That is, service could be significantly more attentive. The main restaurants cannot be confused with prime dining. Our server was an itinerant young lady who was being bounced bounced between the two and openly confessed not to be familiar with the menu. Despite these constructive criticisms, we had a good time. beach is not nice, restaurant is poor quality. It is shame that you are so overpriced. I compare you with Coral Reef Club where we stay 2 weeks over New Year and than we moved to your hotel where we expect much higher quality as we pay it significantly more expensive that Coral Reef Club where we had breakfast and dinner (and New Year dinner) included in price. You are only hotel who charged me 100% upfront payment. You can see that this hotel does all it can to meet your every need. We will be coming back to this hotel, this hotel has no faults. The food was generally disappointing and expensive. Fantastic view from room with wonderful sunsets. The room was quiet and comfortable. Food in the restaurant is on a very high side. Should be cheaper. Beach, friendly staff. Refurbished, clean rooms. The staff was friendly and always smiling. The menus could be updated with local cuisine. While the food is ok, the options are a little tired. My only cons were that one of our two rooms was not ready on time but one was so we stayed there until the other was ready. They gave us a small bottle of champagne for our inconvenience. The other con was that that there were not enough restaurants on the property. The ones there had excellent food and perfect service but were very expensive. Spent over $200 USD for 4 of us per meal. All things food were below par - on top the main restaurant was closed further restricting the dining options on site, or the room service. Common areas are needing some tlc (gym, tennis court fence, Taboras, etc) and internet connectivity was a bit of an issue. Wasn’t able to get a room for entire holiday. Should have booked in advance. There is only 72 rooms available in this awesome property.